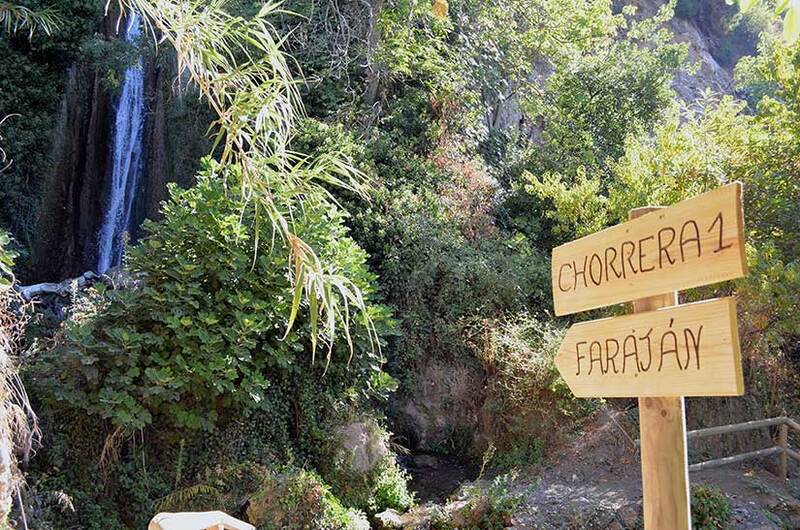 The name of the village, Farajan, comes from the Arabic language and means “pleasant location”. It is without doubt a most apt denomination as its geographical position at the head of the River Genal gives it a singular charm. Situated among deep ravines traverse by streams flowing into the River Genal, the dominant feature in the area are the masses of chestnut trees which line the valley. Along with neighbouring Juzcar and Alpandeire on the north bank of the river and Igualeja and Pujerra to the south, it forms part of the mosaic of white villages which characterise this area. The earliest known settlement in the area dates back to the Andalusi-Arabic period. Several tribes of Berber origin, such as the Magilas, Gumaras, Bahrires, Habibies and others, established themselves in the area, setting up a number of farms in what is now the municipal district of Farajan. After the Christian conquest of the Serrania de Ronda region and the town of Ronda itself, small communities of moriscos (Moslem converts to Christianity) settled on the site of the present-day village, which became crown property administered by Ronda. The definitive expulsion of the moriscos in 1571 left the village practically abandoned, though some of its inhabitants, in an attempt to avoid being exiled, hid in the rugged mountains and harassed Philip II’s troops, thus carrying out what were possibly the first acts of documented banditry, an activity which later became commonplace in the area. In 1814, King Ferdinand VII granted Farajan its Royal Village Charter “as reward for its determination, loyalty and sacrifice during the War of Independence against the French”.